Festive family fun to kick off the Independence Day celebrations! Join us at the biggest patriotic party in the Sarasota area for a festive 4 Mile Race around the lake at Nathan Benderson Park, just before sunset and the annual fireworks display. Experience the feel of a major race with crowds cheering you on as you celebrate Independence Day with a patriotic themed race just before sundown. All participants will receive a race shirt, finisher's medal, glow gear and the support of a cheering crowd all along the lake at Nathan Benderson Park. Top 100 male and 100 female finishers will be awarded a commemorative price. Bands at the starting and finish line, plus food and beverages at the after party a spectacular fireworks show make this race an event not to be missed. Come early for the Kids' Dashes at 6:30pm and get the whole family involved in the summer fun. Sunset 4 miles around the lake for chip-timed runners! Gun starts at 7pm and all participants receive a chip timed bib, race shirt, finisher's medal and glow gear! Kids' Dash Distances (by age): 100 Meters (3-4 years old) 200 Meters (5-6 years old) 400 Meters (7-9 Years old) 800 Meters (10-12 Years Old). Kids 12 and under participating in the 5K can run the Kids Dash for free! Walk the 4 mile course at your own pace and join in the fireworks festivities after the race. Walkers will be untimed, but still receive a race shirt and finisher's medal! Can't make it out on race day, but still want to participate? Run the Virtual 4 Miler and receive the finisher's medal and official race shirt. Virtual participants are not eligible for top finisher prizes. Stay tuned for the reveal of the 4 Mile course! 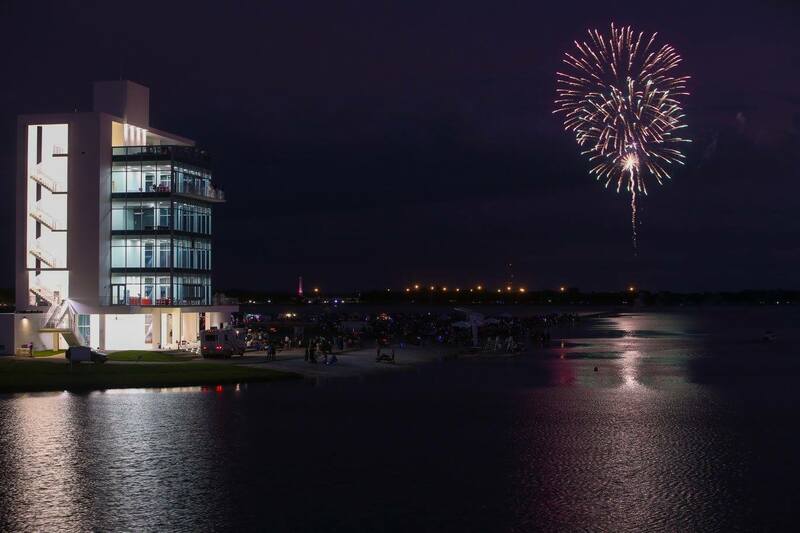 Finish the race and stay for the Fireworks Over the Lake! Bands are performing on the island from 7pm-10pm and fireworks start at 9pm. Food and beverages will be available to purchase, but all race participants will have a ticket on their bib for a free drink! RSVP to the Fireworks 4 Miler on Facebook to stay up to date on additional race details as they are announced. 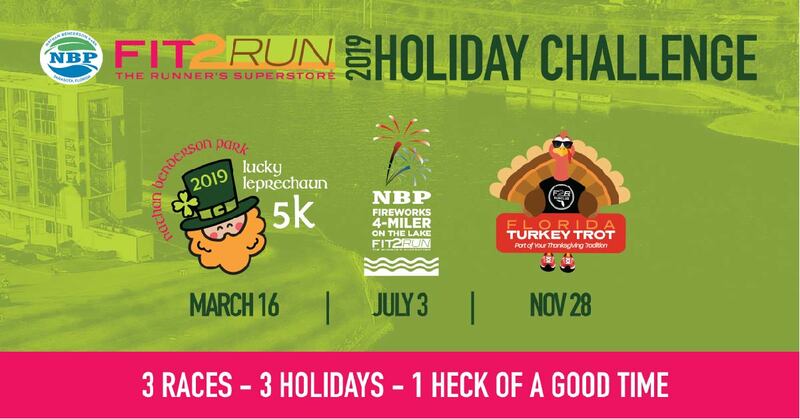 Fireworks 4 Miler is the second of 3 races in the Holiday Race Challenge. Participate in all 3 races at Nathan Benderson Park and be awarded a special medal at the finish line of the final race. Register for the challenge prior to 3/16 and get an exclusive tri-blend long sleeve shirt celebrating the Holiday Challenge.